When Mendocino Brewing’s Red Tail Ale hit the shelves over 30 years ago, it was a radically different beer during a time when light industrial lagers dominated the beer market. While a lot has changed in California’s beer landscape since then, this brew remains one of the classics. 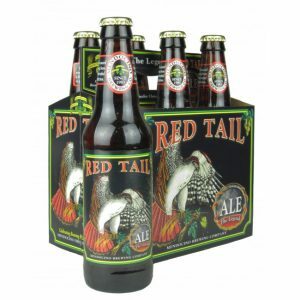 Amber ales aren’t always the most exciting beers in these days of über-hoppy IPAs and everything-but-the kitchen-sink brews you’ll find these days, but beers like Red Tail Ale are underrated. It’s drinkable, yet hardly boring. It’s complex, with its caramel character accented with deeply toasted malt note and an earthy finish. A radical brew when it debuted long ago, and pretty damn good today.